Here we go again. I love San Diego, and the last time I was there, I visited the campus at Point Loma Nazarene University. A beautiful view of the Pacific Ocean. Well designed campus buildings. Watched a nice soccer game that was going on at the time. It all looked so beautiful and nice on the surface. But as we know, looks can be deceptive, and often masks the ugliness within. And so with Point Loma, as it all does not seem well on the inside. Something is horribly wrong at this university which carries the name of Nazarene, supposedly reflecting Nazarene teaching and tradition. Just recently it was a conference in March called Nurturing The Prophetic Imagination. At a recent conference called Christless Christianity, Dr. Peter Jones makes reference to it. His lecture, A Gnostic Gospel, is a good one, and if you go to the 43 minute mark, you will hear his description of some of what this was about. It’s not good. And in an April, 2009 article, Lighthouse Trails Research documents the apparent slide into contemplative spirituality and emergent ideology that Point Loma has embarked on (Point Loma Nazarene University Welcomes Brian McLaren and Embraces Contemplative Spirituality). Now it’s Richard Foster. Forgive me for being cynical sounding, but is there something in the theological drinking water at Point Loma? What has changed in ten years? Or perhaps, was that change already taking place when I was already walking around the campus grounds, not knowing what was being taught and welcomed there. Has there been a tragic loss of biblical discernment at Point Loma, by both the students, and particularly, by the theology and religion department, as well as the leadership? When it comes to theology and religion, and sound biblical doctrine, what does Richard Foster have to do with that? So who is drinking the mystical and emergent coolaide at Point Loma? Richard Foster is not just coming to speak, but to host an entire conference, the 2010 Renovaré Covenant Retreat. From all that I know of him, his organization, and his writings, I have come to the conclusion that this man is a false teacher. And if that is true, then I am following the biblical directive to “have nothing to do with the fruitless deeds of darkness, but rather expose them” (Eph. 5:11). We seek to resource, fuel, model, and advocate more intentional living and spiritual formation among Christians and those wanting a deeper connection with God. A foundational presence in the spiritual formation movement for over 20 years, Renovaré is Christian in commitment, ecumenical in breadth, and international in scope. Richard Foster is probably the most influential person in the last 30 years or so, in the area of spiritual formation. However, the problem with this is that spiritual formation means, to those who follow the Renovaré way, delving into what I can describe only as another term for contemplative spirituality, or mysticism, or even the occult. Spiritual formation the Foster way is far from biblical, and others far more knowledgeable than me on this subject have written extensive and accurate exposés on this “new spirituality” which is fast sweeping the evangelical world, perhaps in preparation for the coming “man of sin”, or the anti-christ. Please see the critical links that I have at the end of this post, including a recent post at the Psalm 11:3 blog. This ecumenical spirit that is fostered (no pun intended) by so many evangelicals today is stunning, shocking, and should make most Bible believing Christians take some serious heed to what I and others are practically shouting out. The desire to “hold hands” with anyone who declares that they are Christian, regardless of doctrines that they espouse, is unbiblical. We are commanded in Romans 12 “do not be conformed to the world.” So why should we care whether we get the approval of some other organization or group of people that is blatantly disregarding biblical instruction? Are we seeking to stay within the socially approved circles of the religious elite, not wanting to be shunned and excluded from their worldly fellowship? Do we really think that working cooperatively with any other professing “Christian” group, for a common good, under the banner of Christian unity, helps further the cause of the gospel? Inevitably, it leads to us overlooking serious doctrinal differences between the groups, in order to keep a “spirit of unity.” That will then lead to serious compromise of God’s word and His commands to obey all that He teaches us. So what is it about Richard Foster that folks at Point Loma are willing to overlook, for the sake of listening to perhaps a few good things he might have to say? What about the bad stuff? What about the unbiblical baggage he carries with him? Is Point Loma leadership saying, “don’t throw out the baby with the bath water.” Perhaps they are, or the only other conclusion is that they are completely oblivious to his heretical teachings. Perhaps someone who has a child there, or plans to send one soon, or perhaps is sending money to the school, might want to ask the university president and theology department if there is a biblical sound, rational reason to host Renovaré at the school. I won’t go into detail about Foster here. I have posted various posts on him, so please read them carefully. Others have written extensively, exposing his erroneous teachings, and promotion of heretical mystic monks. Pastors Bob Dewaay, Ken Silva, David Cloud, and others, have done some really good work on Foster, as well as Lighthouse Trails Research, and many other hard working online discernment ministries who are taking the heat from the apostates who pretend to be Christian. I also want to give a word of precaution. In the silent contemplation of God we are entering deeply into the spiritual realm, and there is such a thing as a supernatural guidance. While the Bible does not give us a lot of information on that, there are various orders of spiritual beings, and some of them are definitely not in cooperation with God and his way! … But for now I want to encourage you to learn and practice prayers of protection. I and others have asked before, why would a Christian need to pray a prayer of protection, before doing something that is supposed to be good for them? And why can’t a novice Christian participate in contemplative prayer without fear? Would God give us something that might be spiritually dangerous to us? As Paul warns in scripture, “a little leaven leaveneth the whole lump.” Tolerating a little bit of false teaching will corrupt the church. So I pray for some answers from the Point Loma University leadership. If your child is going there now, or is considering going there, I would encourage you to ask them hard questions, if you are convinced that Richard Foster is nothing but bad news. It looks to me as if the answer might be already evident: Point Loma, as well as other Nazarene universities, and its seminary, may have already been deceived by Richard Foster and his contemplative spirituality replacement for the true gospel. If you are even a bit suspicious of Richard Foster now, here are some additional resources to find out more about him. I pray you will be a Berean and put his teachings up to the light of scripture, and not with the reasoning of man. Acts 20:28-31 Keep watch over yourselves and all the flock of which the Holy Spirit has made you overseers. Be shepherds of the church of God, which he bought with his own blood. I know that after I leave, savage wolves will come in among you and will not spare the flock. Even from your own number men will arise and distort the truth in order to draw away disciples after them. So be on your guard! Remember that for three years I never stopped warning each of you night and day with tears. Richard Foster A Reliable Source For Proper Christian Spirituality? Today’s profile is not of someone who is a declared emergent as far as I know, but he is extremely popular in the emergent movement, which has contemplative spirituality as a big part of their movement. His name is Richard Foster. He has one of the most popular books that deal with spirituality, however, much of that spirituality has nothing to do with biblical instruction and doctrine. Richard Foster is extremely popular in Christian circles, therefore what I share with you here would be very unpopular among those who have read and enjoyed his books, especially Celebration of Discipline. However, I am not searching for popularity among anyone, so that motivation does not hinder me from searching for truth. I have not thoroughly read his book; I have read many excerpts from it to come to some pretty good conclusions. Also the research by Pastor Ken Silva, Lighthouse Trails Research and others, leaves no doubt for me and many others that Richard Foster is teaching many things that are out of a dark side, and that are clearly not biblical. Following is Pastor Ken’s Silva’s summary of Gary Gilley’s article, and a posting from Lighthouse Trails Research. Bottom line: I don’t recommend that any of Richard Foster’s books be part of your library. Much of what he writes is poison, and Christians need to be discerning about their reading material. Contemplative spirituality practices are a distraction from what we should be doing: reading the scriptures in true contemplation of the Word, praying, and fellowshiping with other Bible believing Christians. Celebration of Discipline alone, not even referencing [Richard] Foster’s other writings and teachings and ministries, is a virtual encyclopedia of theological error. We would be hard pressed to find in one so-called evangelical volume such a composite of false teaching. These include faulty views on the subjective leading of God (pp. 10, 16-17, 18, 50, 95, 98, 108-109, 128, 139-140, 149-150, 162, 167, 182); approval of New Age teachers (see Thomas Merton below); occultic use of imagination (pp. 25-26, 40-43, 163, 198); open theism (p. 35); misunderstanding of the will of God in prayer (p. 37); promotion of visions, revelations and charismatic gifts (pp. 108, 165, 168-169, 171, 193); endorsement of rosary and prayer wheel use (p. 64); misunderstanding of the Old Testament Law for today (pp. 82, 87); mystical journaling (p. 108); embracing pop-psychology (pp. 113-120); promoting Roman Catholic practices such as use of “spiritual directors,” confession and penance (pp. 146-150, 156, 185); and affirming of aberrant charismatic practices (pp. 158-174, 198). If there is one person who could be considered the “father” of the present evangelical “spiritual formation” movement, that person is Richard Foster. And in spite of the non-biblical, mystical-promoting foundation of the spiritual formation movement, Foster continues to be touted, promoted, and looked up to by evangelical leaders, pastors, and professors. This article hopes to reveal the underlying nature of Foster’s spirituality and to reject the recommendations of these Christian figures who rather than warning the body of Christ about Foster’s spiritual formation, they point to him as a credible source of spiritual nourishment. But who are these “saints” that Foster refers to and what is their spirituality? This is a key and valid question. And Foster himself can answer it. All we have to do is look to his own writings–he has been revealing these saints to the church for over thirty years. And incredibly, the church has bought into it hook, line, and sinker, hands down, no questions asked. Prove of that is abundant and convincing as Lighthouse Trails has often shown. Two of the best sources to turn to in order to understand Foster’s spirituality are his two books, Spiritual Classics (2000) and Devotional Classics (1990). In each book, Foster features writings from 52 “great devotional writers” or as he has often called them Devotional Masters. In Devotional Classics, Foster features: St. John of the Cross, St. Bernard of Clairvaux, St. Teresa of Avila (who levitated during mystical trances), St. Ignatius of Loyola, and Hildegard of Bingen (called a saint but not actually canonized). The one thing these five all have in common is they were practitioners of mysticism and held to panentheistic (God is in all) views. Yungen began to study Foster in depth after that, and in 1999, he wrote the first edition of A Time of Departing, an expose on the contemplative prayer movement. His [Merton’s] change of mind with regard to the higher religions was not the result of tedious comparison and contrast or even concerted analysis. It was an outgrowth of his experience with the Absolute [God]. It is a glorious destiny to be a member of the human race, … now I realize what we all are…. If only they [people] could all see themselves as they really are … I suppose the big problem would be that we would fall down and worship each other…. At the center of our being is a point of nothingness which is untouched by sin and by illusions, a point of pure truth…. This little point … is the pure glory of God in us. It is in everybody.5. In spite of Richard Foster’s obvious embracing of Merton’s spirituality, evangelical leaders continue to stand by Foster. A case in point: At the upcoming Renovare international conference, The Jesus Way (June 21-24), popular Christian figure, Max Lucado, will be one of the featured speakers. Lucado will be joining Richard Foster, Dallas Willard, John Ortberg, and Eugene Peterson (all contemplatives) at the conference. Lucado’s presence at the event is not a total surprise to Lighthouse Trails. Three years ago, we reported that Lucado’s book, Cure for the Common Life, was promoting contemplative spirituality. 3 But most people don’t know that, and he is the very personification of the typical mainstream evangelical pastor, so his aligning with Foster is very significant. In addition to Lucado’s embracing of Foster, Focus on the Family sells a series by H. B. London that features Richard Foster in a favorable interview. While this too is no surprise to Lighthouse Trails because Focus on the Family resonates with Gary Thomas, who resonates with contemplative spirituality in his books, FOF’s promotion of Richard Foster will influence many, many people. In Rick Warren’s first book, The Purpose Driven Church, Warren praised the spiritual formation movement and recognized Richard Foster’s key role in it. 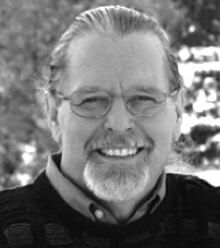 Warren said that spiritual formation was a “valid message for the church”7 and has “given the body of Christ a wake-up call.”8 Unfortunately, largely because of Rick Warren’s world-wide following, Richard Foster’s legacy continues to endure. 1. Richard Foster, Celebration of Discipline (San Francisco, CA: Harper & Row, 1978 edition), p. 13. 2. Ray Yungen, A Time of Departing (Silverton, OR: Lighthouse Trails Publishing, 2nd ed, 2006), pp. 76-77. 4. Interview with Matthew Fox: http://web.archive.org/web/20060425035122/nineoclockservice.tripod.com/mattiefx.htm. 5. Thomas Merton, Conjectures of a Guilty Bystander (Garden City, NY: Doubleday Publishers, 1989), pp. 157-158. 6. Karl Rahner, Theological Investigations, Concern for the Church, translated Edward Quinn (New York: Crossroad, 1981), p. 149. 7. Rick Warren, Purpose Driven Church, p. 127. This article or excerpt was posted on March 30, 2009@ 7:45 pm .